Next up,we have our $15 games! These games are a bit bigger and come in a more snugly fitted box to their purposes. 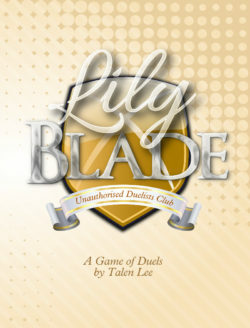 Lily Blade is a duelling game of young women sword fighting. It’s a two-player game where what you commit to winning can be taken from you as the spoils of losing. There are two sets of Lily Blade, each featuring three characters, which are fully compatible to play with one another. Who Wants It: People who want an accessible duelling game that they can play in reasonably common areas. Age Range: This game is playable by almost anyone who can read, so 5+ is fine. 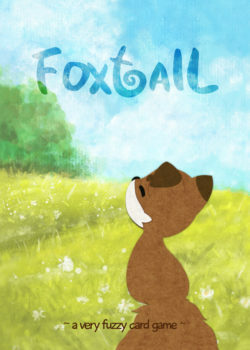 A soft, fluffy and gentle game of building a lovely tail, Foxtail requires you do no reading and the rules are very simple. 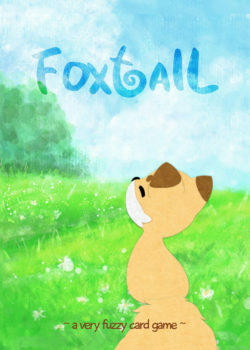 Play is simultaneous and players are focused on making their tail as charming as they can make it while it snakes across the table. Who Wants It: Anyone who wants something non-confrontational and low-impact. It’s great for kids and families. Age Range: Probably anywhere 5+. This game was designed to be compatible with kids who couldn’t read or even do complex math yet. 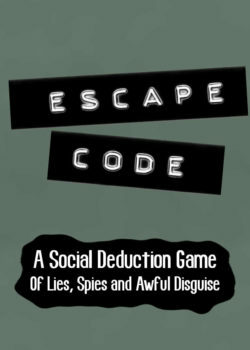 Another hidden identity game, Escape Code is made to be more about playing and chatting, rather than working out some complex nest of if-then-else statements. Played to a timer, players are trying to slip a phrase into conversation, or work out who, at the table, is being shifty. Who Wants It: Groups that like hidden identity games but find they collapse into a specific pattern of play. 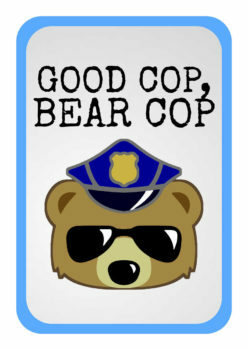 Another hidden-identity game, Good Cop Bear Cop is about the fanciful idea of a precinct of cops with non-corrupt members that are also secretly bears. As with other games, this seeks to be a hidden identity game that cares about making sure players can keep playing rather than being focused on a fmailiar pattern of play. In Good Cop, Bear Cop, players are trying to advance their own goals, find the bears, and head off any other cops who they think are trying to pursue their own goals. Who Wants It: Groups that want a more systemy hidden identity game that isn’t necessarily about throwing around wild accusations. Less anxiety driven, with people more interested in winning themselves. 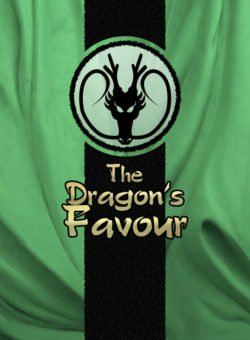 Dragon’s favour is a voting game, where each round is about working out how you think other people will vote, and then committing yourself to voting in your best interests. It’s a complex game that spirals out of hand fast as you start to politick your way through your friends’ actions. Who Wants It: Players who want a varied play experience that scales up from small numbers. It’s 2-7 numbers. Age Range: Probably anywhere 7+. 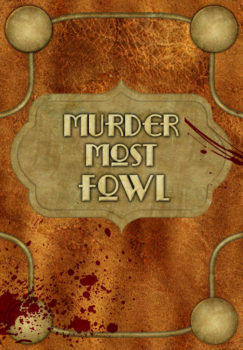 Murder Most Fowl is a path-building set collection game with some gotcha cards in it, designed to poke at other players and make it harder for them to collect or advance their own plans. It’s got an over-the-top British Poshness aesthetic, and is full of silly bird names that are fun to say. Who Wants It: Playgroups of 2-4 people who want something a bit like Arboretum, but with some bite. 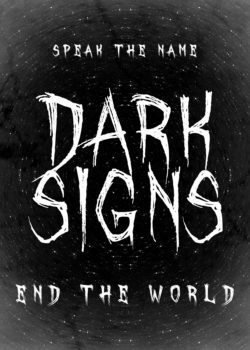 Probably our ‘hardest’ game, Dark Signs is an area control, hand management game with a nightmare aesthetic. Players are terrible outsider entities, trying to get a poor beleagured poet to chant their name upon waking. 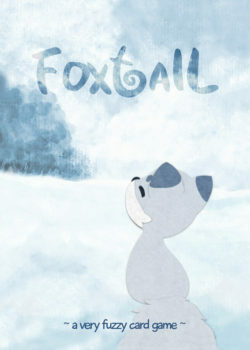 The gameplay has a dash of hand management and control, knowing when to fight and when to fall back. Who Wants It: Playgroups with 2-4 people who want something pretty tight and strategic. Age Range: Probably anywhere 10+. It’s a bit deliberately spooky.